The UK retailer’s shares rose 45 pct after U.S. grocer Kroger agreed to use its online-delivery technology and take a 5 pct stake. The deal solves Ocado’s cash flow problems. But a valuation of almost four times sales is toppy given scant detail on its international partnerships. An Ocado truck returns to the Ocado depot in Hatfield, southern England July 21, 2010. Reuters: Ocado shares soar as it partners Kroger to enter the U.S.
British online grocer Ocado on May 17 announced a partnership with Kroger. The $20 billion U.S. supermarket will have exclusive U.S. rights to use Ocado’s food-delivery technology and will take a 5 percent stake in the UK company. The two groups are identifying the first three of 20 new sites for automated warehouses using Ocado’s product-sorting and distribution technology, which allows retailers to speed up their online-delivery businesses. Kroger will pay monthly exclusivity and consultancy fees to Ocado, which will discontinue discussions with other U.S.-based retailers. Those fees will partly reduce Ocado’s future fees from the deal, but should make its initial outlay more affordable. 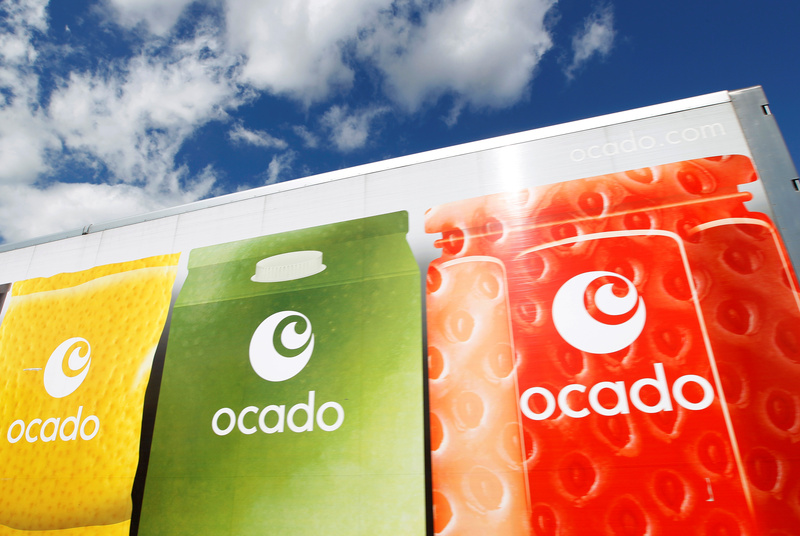 The deal is the fourth major agreement Ocado has signed in six months, after striking partnerships with France’s Groupe Casino, Canada’s Sobeys and Sweden’s ICA Gruppen. Ocado shares were up 44 percent to 7.96 pounds at 0740 GMT.